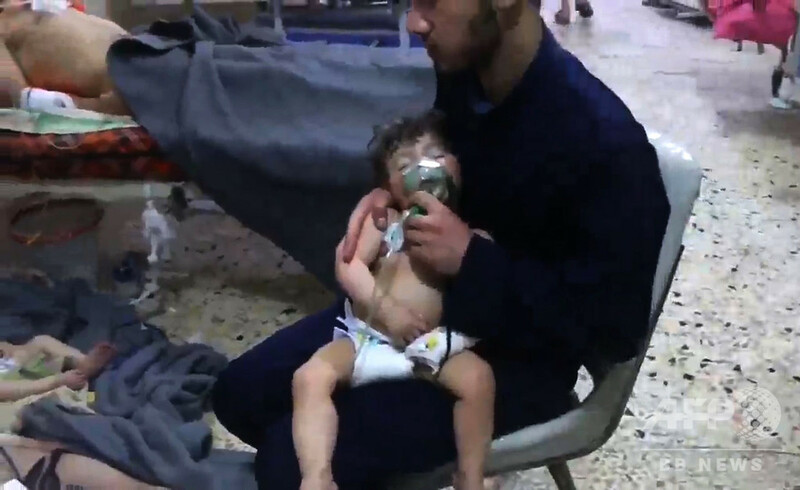 An image grab taken from a video released by the Syrian civil defence in Douma shows unidentified volunteers giving aid to children at a hospital following an alleged chemical attack on the rebel-held town on April 8, 2018. A suspected chemical attack by Syria's regime sparked international outrage, after rescue workers reported dozens killed by poison gas on rebel-held parts of Eastern Ghouta near Damascus. President Bashar al-Assad's regime and its ally Russia denied the allegations of a chlorine gas attack on the town of Douma, calling them "fabrications".